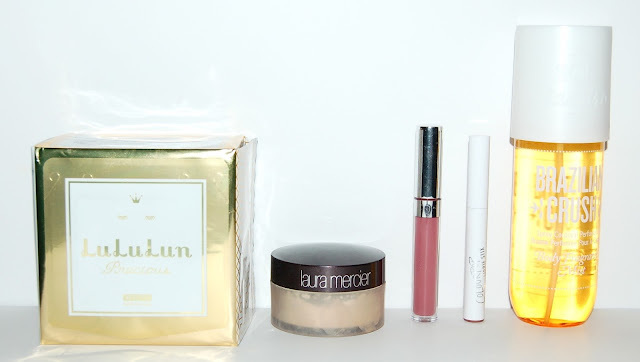 Here are the items I've been loving recently! I really like these sheet masks from Skinstore! They feel really refreshing and make my skin feel moisturized after. I love that this box has 32 masks (that comes to less than $1/mask by the way!) and that they aren't individually wrapped. There are many different types of this brand of sheets masks so take a look HERE. This is my holy grail setting powder! 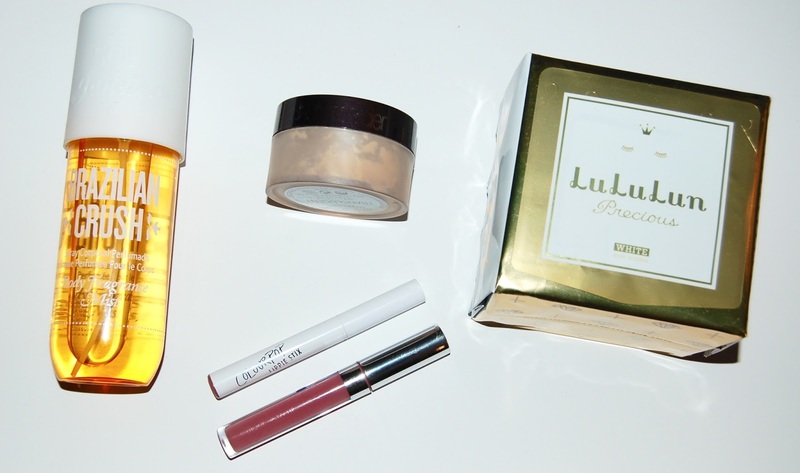 It gives a flawless finish to my skin and truly does prolong the look of my makeup to last the entire day. I have been using this fragrance everyday since I purchased it. It's a delicious mix of caramel and pistachio and unlike anything I've ever smelled. The scent is pure heaven! This is a beautiful mauve lip gloss. It's not sticky which is nice, though it does mean that it doesn't last long. I don't mind that because of the light feeling. 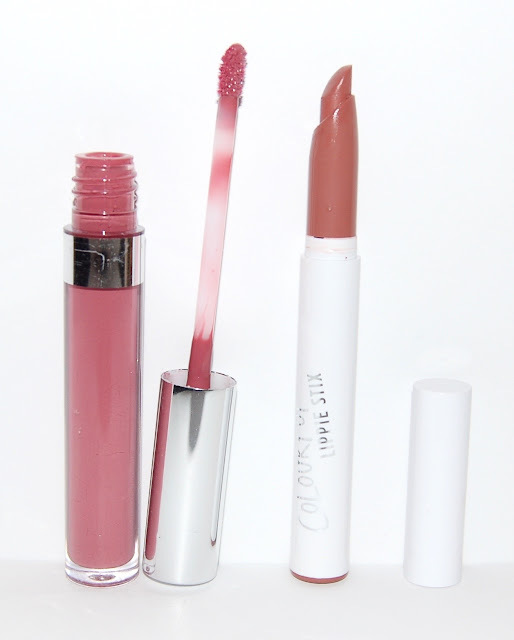 I love the formula of Lippie Stix, they are really creamy and pigmented. 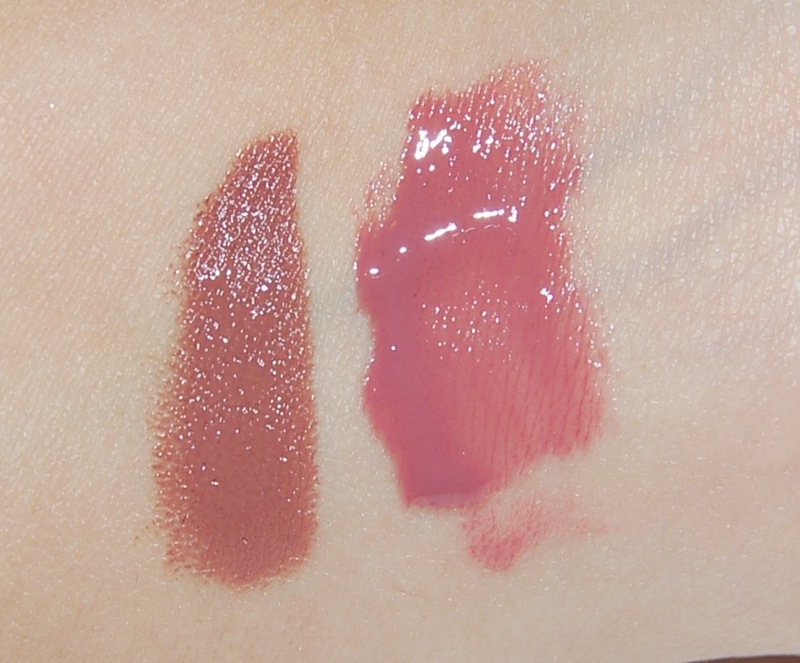 This shade is a beautiful pink/brown/taupe. I haven't been able to stop wearing it since I bought it!